BELLEVILLE – A power outage that affected over 1,300 customers from Trenton to Brighton on Thursday is over. A Hydro One spokesperson told QNet News it learned of the outage around 8:09 a.m.
Workers found that the outage was caused by a burnt cross arm – a piece of equipment found on a power pole. The piece had to be replaced. Power was restored to the area early in the afternoon. 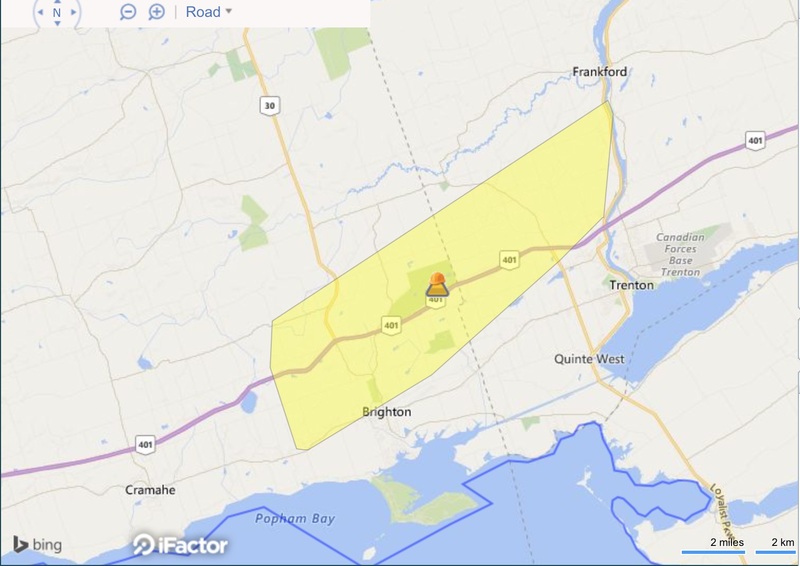 A map from the Hydro One website Thursday morning, showing the area affected by the power outage. To track the status of power outages in the area, see the map Hydro One updates every 15 minutes here.